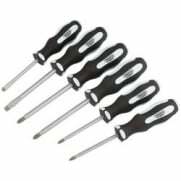 Useful screwdriver set, supplied with a selection of tools ideal for everyday use. 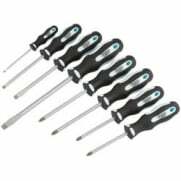 The set includes 17 screwdrivers, bit driver, 10 insert bits and 16 hex keys. 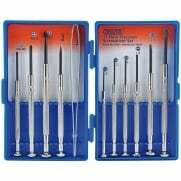 All items are manufactured from hardened chrome vanadium steel, which has been correctly tempered for greater strength and durability. 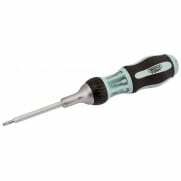 Each screwdriver has a sand blasted tip, which produces extra grip on the screws head. 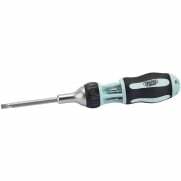 The soft grip screwdriver handles are ergonomically designed delivering greater grip and torque whilst producing comfort for the user even when used for prolonged periods. 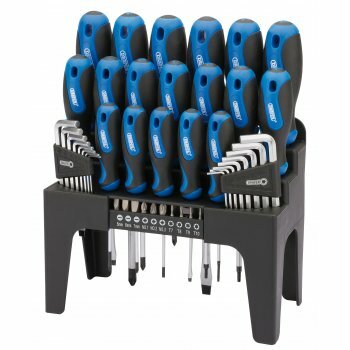 This 44-piece kit is ideally suited for use around the home and workshop. 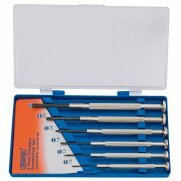 ?½ 16 Hex Keys, metric: 1.5, 2, 2.5, 3, 4, 5, 5.5, 6mm and imperial 1/16", 5/64", 3/32", 1/8", 5/32", 3/16", 7/32", 1/4"